Today starts the voting for our two Final Four games! In this round of voting, we're sharing a bit more information about the quilts. We hope you enjoy hearing what the designers have to say about their patterns and the fabrics they used! Find voting information at the bottom of the post. 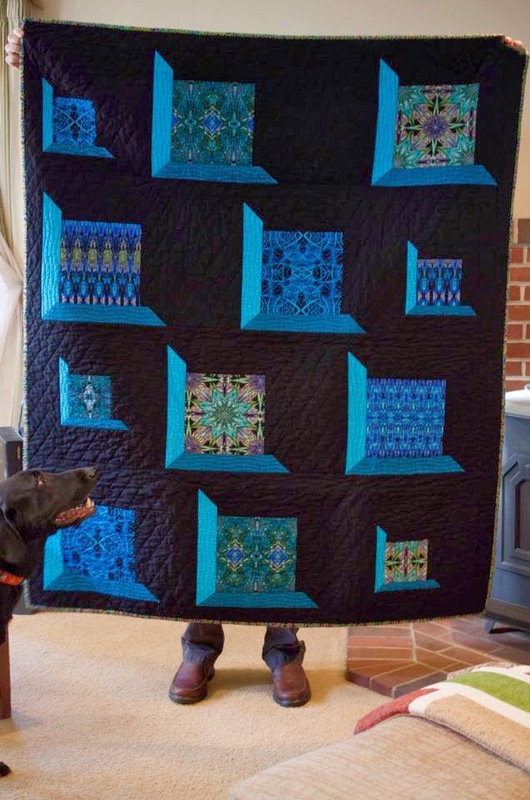 How did you come up with the quilt design? In the back of my mind, I had always wanted to design a "linkage" design. 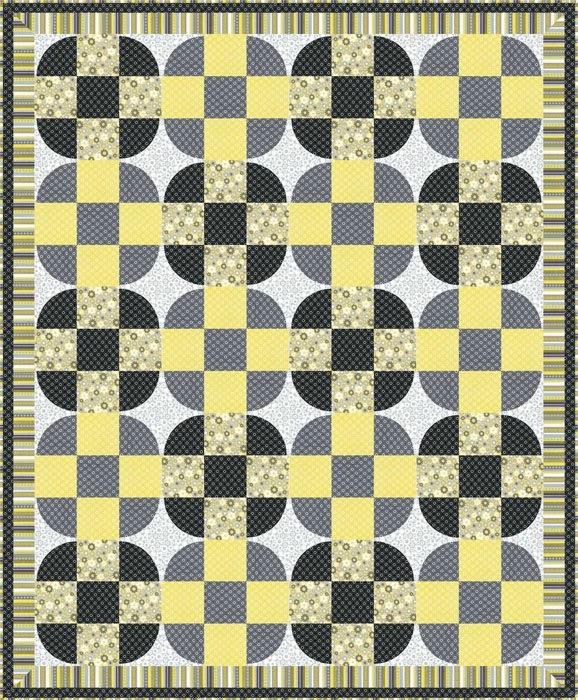 I thought the Op Art Reflections fabrics would be fun to use for a quilt of "scrappy" linkages. And then, it was a matter of deciding if I wanted my linkages to be all rectangular or square. I decided to use a mix to kind of break up the "predictability" of the design a bit. The design also reflects my love for structure, symmetry, and order, a leftover from my engineering days before my Mom days, I suppose. #1 I really like the fact that it looks like a complicated design, but it is actually quite easy to construct. #2 The overall effect is what I love. The "linkage" effect gives a sense of movement to the square and rectangular links in the design. #3 The background fabric I used (see next question). #4 This design is versatile to be used for any fabrics. 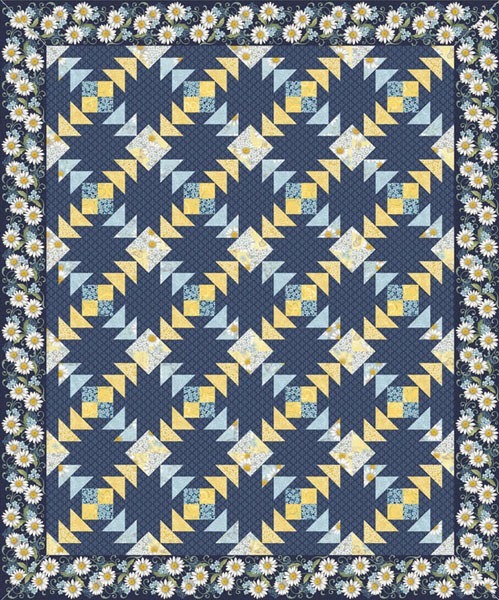 I am thinking it would make a visually effective "modern Amish" quilt using just solids. But then, the possibilities are endless. If I owned a gallery, I would commission quilters to use this design for an arrays of fabrics for different final looks of the quilts. How did you choose the solid background color to use with the prints? It is actually not a solid fabric. It is a mottled greenish/bluish fabric from Benartex's Blush collection that makes a very interesting background fabric. I am always experimenting using different fabrics as background fabrics in contemporary designs. You can read more about this choice here. What's appealing about the Op Art Reflections fabrics? I love the geometric designs that make up these fabrics. As soon as I saw the fabric swatches, I knew I wanted a "clean cut" and simple look for the design that lets the fabrics do the "talking." #1 I like the fact that it is a dressed up HST (half-square triangle) design! So often, HST units are used as sub-units in "supportive roles" in block construction. To have the HST be the main players in a quilt design is what appeals to me about the design. 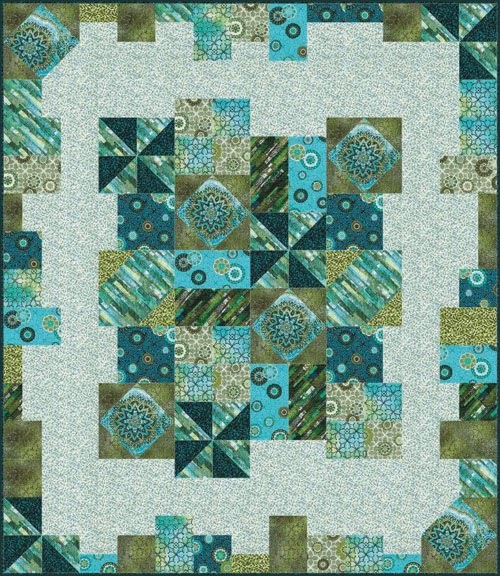 #2 Like Movement in Squares, I also think this design is versatile for many fabric choices. Why did you decide to use such large HSTs? There is a lot of movement and texture in Electric Feather fabrics, and I wanted to use simple but large patches to highlight the different feels in the movement and texture on the fabrics. Smaller HSTs might not sufficiently capture the movement and texture otherwise. What prompted you to use beige as a neutral, in addition to the white and black? I used the white and black to tie all the colors together in the design. But then, I felt like I needed something more subdued (thus beige) to give a bit of rest to the eye in the midst of the contrasts. So the beige was used to bring out the other colors in the design to shine like jewels. Can you talk about your choice to put a black frame around the colored half of HST and the small squares on the opposite side? Why not just one or the other? Yes, the small squares and the black frame combo to me is the most interesting part of the design. The HST's by themselves are just HST's, but with the framing, the large HST's all of a sudden become what draw the eye. I didn't want to use an all black frame because that seemed a bit predictable, and a frame with all small squares around makes things a bit too busy. So, the compromise and balance happened when I mixed the small squares and black to make the frames. The final framing combo brings out the HST perfectly, I think. What's appealing about the Electric Feather fabrics? 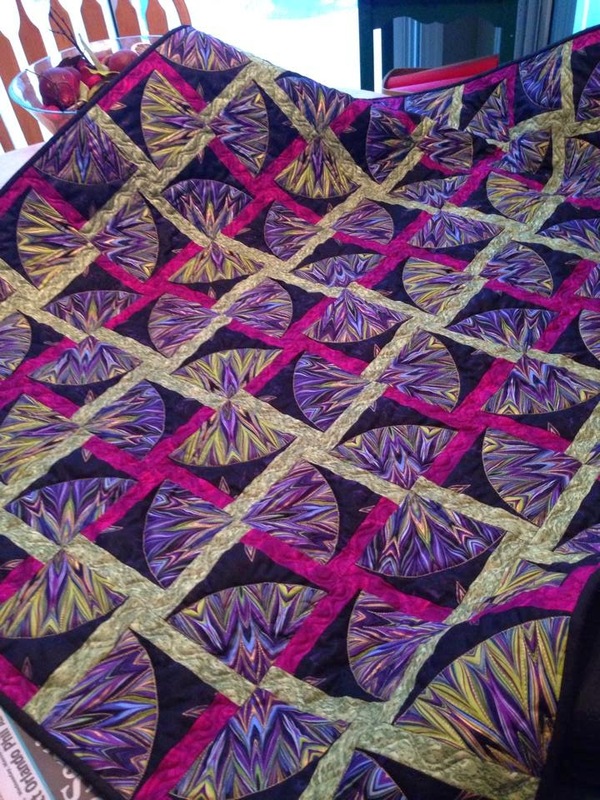 The richness in colors and the overall texture is what I love about the Electric Feather fabrics! 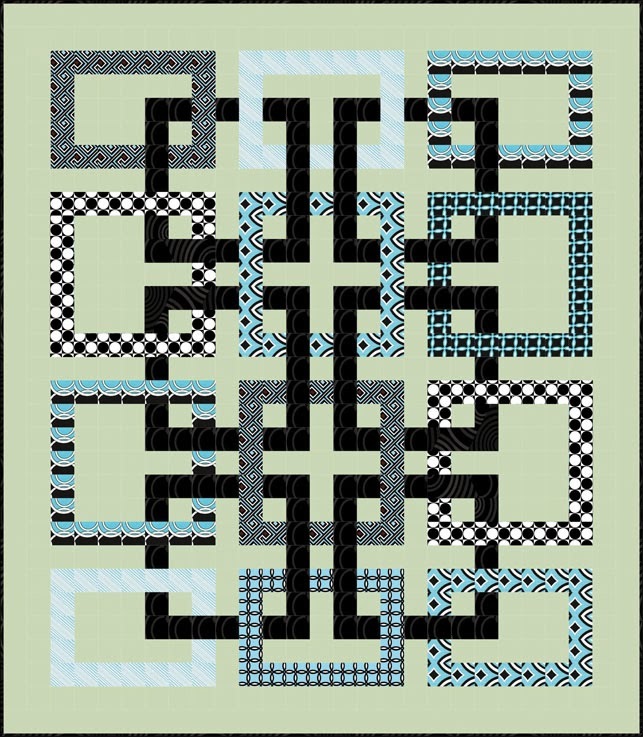 Leave a comment below with your vote for this game (choose Movement in Squares or It's Electrifying). One comment per person, please. You can also vote a second time on our Facebook Group – Sew Interesting, and you can see all of the fabrics in each of the featured line on our Facebook page. Voting for this game is open through Wednesday, April 2 at 1 pm EST. 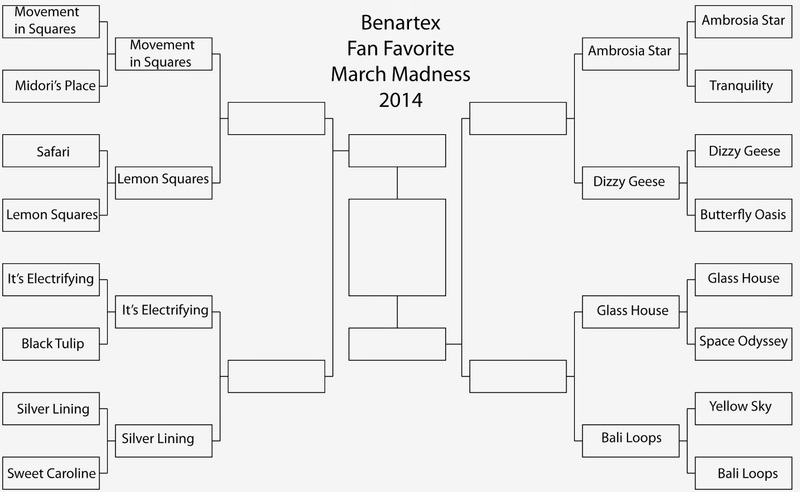 We're down to our Final Four quilt patterns in the Benartex Fan Favorite contest! Our road to the Final Four may not have had as many overtimes and buzzer-beating shots as the basketball Final Four, but it sure has been fun! Thanks to everyone who has voted so far! Stop back after 1 pm EST to vote! As we've been running the March Madness contest, you've probably noticed references and links to our new Facebook group, Sew Interesting. We're very excited about this new spot on the web to share our love of Benartex, Kanvas and Contempo fabrics, so we wanted to tell you a bit more about this group and let you know how you can join. This group is a place for all friends and fans of Benartex, Kanvas and Contempo fabrics to come together. Please feel free to share photos of and stories about your projects using Benartex, Kanvas or Contempo! We hope that you enjoy connecting with each other and us! Here's a peek at some of the fantastic projects that have already been shared in the Sew Interesting group. 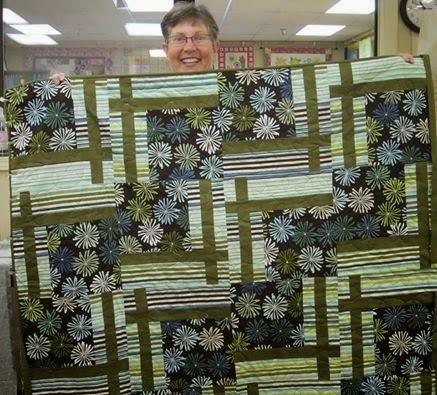 Mystery Quilt of 2013. She used the Casablanca collection. 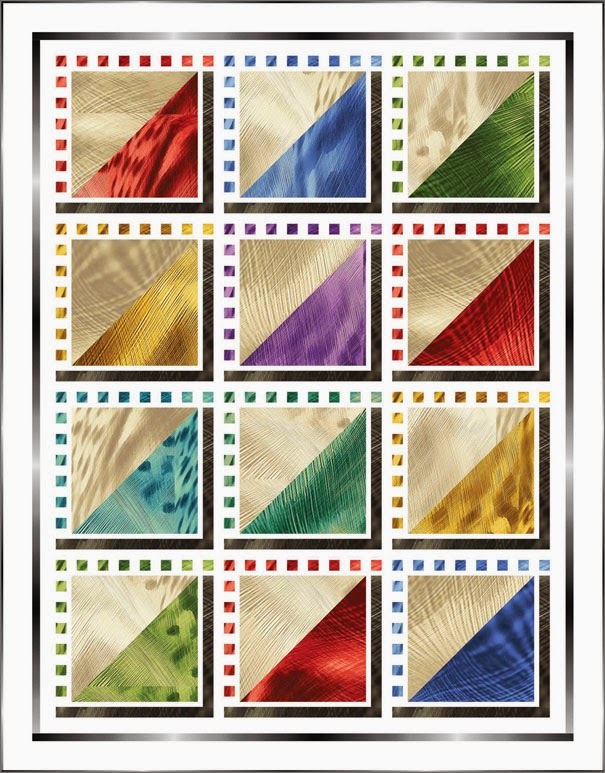 From Melody Daugherty: Here's the latest goodie - Nadelstern from Benartex! I love purple and green together. 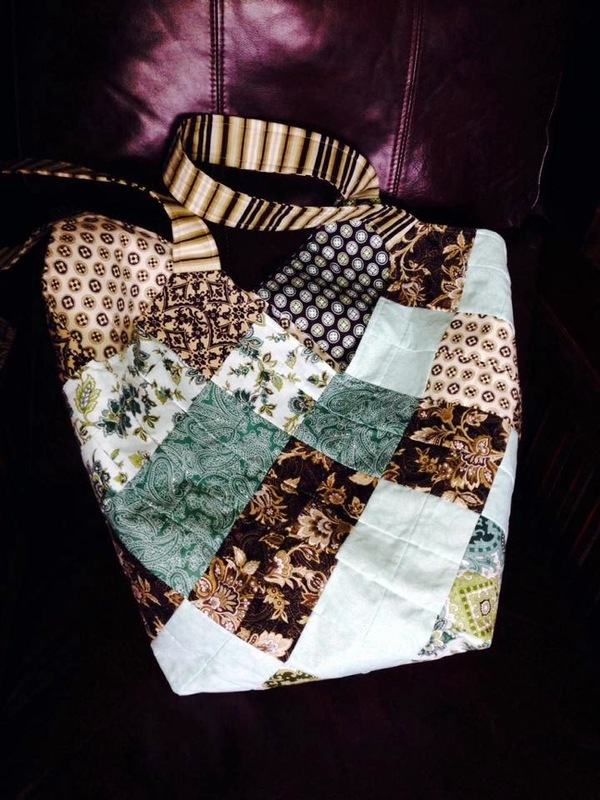 From Natalie Elliott Larson: This is made with Michelle D'Amore's Manhattan Modern fabrics. I used the BQ2 pattern. 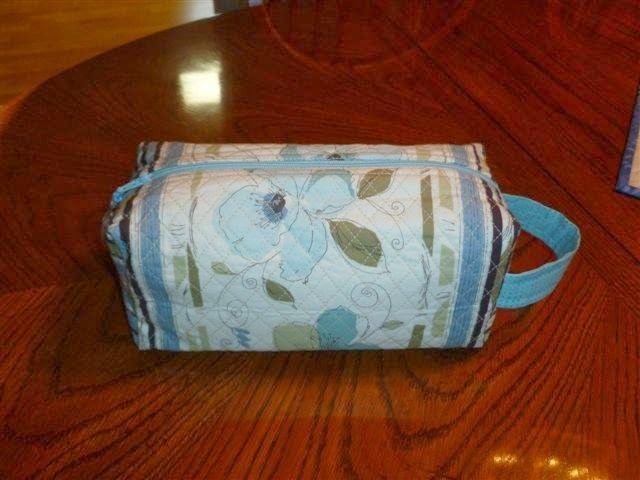 From Sandy Doney Kent: My latest use of Michele D'Amore fabrics. Mondo bag from Quiltsmart. Love all her fabrics! 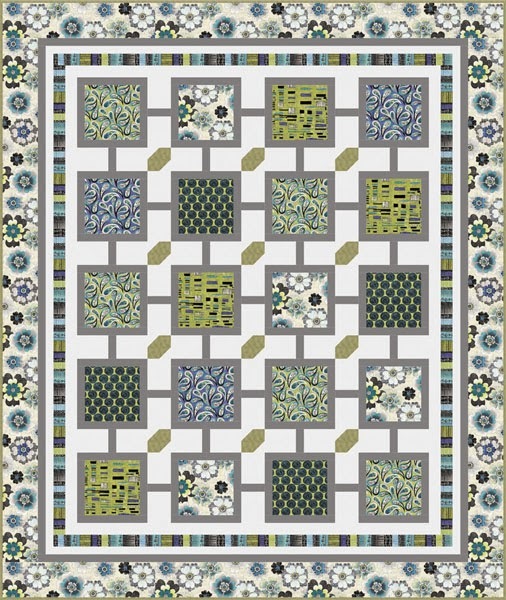 From Roseanne Battista: A housewarming gift using the Fenestella pattern from Quilter's Newsletter June/July 2013, featuring Paula Nadelstern's Fabrique-istan. We'll continue to share new collections, patterns, and ideas using our fabric both here on the Sew in Love with Fabric blog and on our regular Facebook page. Please join us in the Sew Interesting group to share your own projects using our fabrics and be inspired by those that others share! We can't wait to see what you've made! 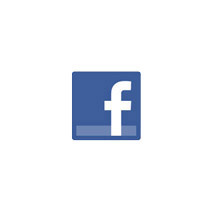 Join the fun today--click here to get to the page and then click on "Join Group"! It's the last day of round 2! Help one of these two quilts make it into the Final Four. Leave a comment below with your vote for this game (choose Glass House or Bali Loops). One comment per person, please. You can also vote a second time on our Facebook Group – Sew Interesting. Voting for this game is open through Friday, March 28 at 1 pm EST. Voting is now closed. Check back on Monday for the updated bracket announcing the Final Four! 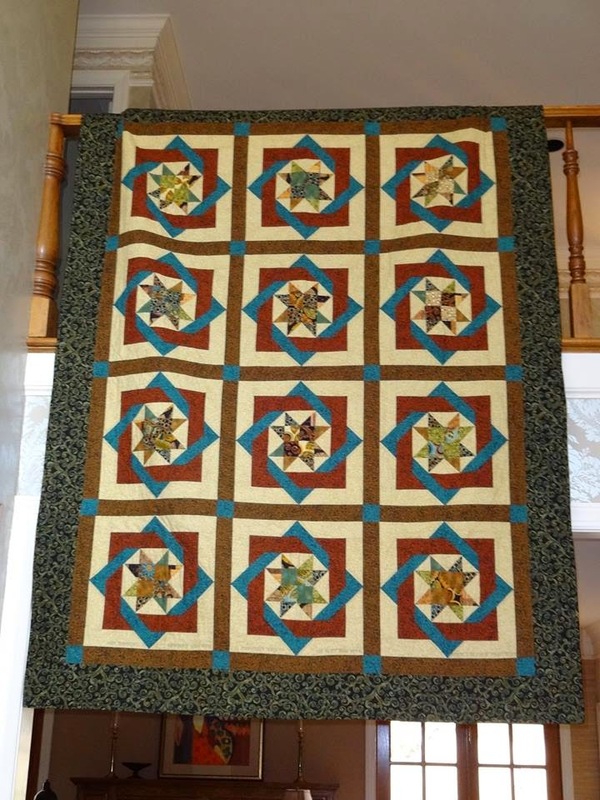 To see the Elite Eight quilts, click here. March Madness continues! Here's our third game of the second round. Vote for your favorite in the comments below! Leave a comment below with your vote for this game (choose Ambrosia Star or Dizzy Geese). One comment per person, please. You can also vote a second time on our Facebook Group – Sew Interesting. Voting for this game is open through Thursday, March 27 at 1 pm EST. 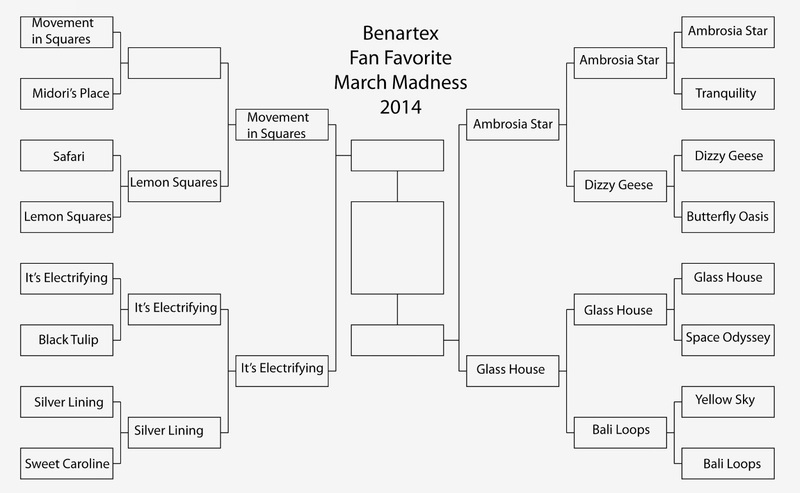 Is your favorite quilt winning in our bracket? We're on the second day of the second round of our Fan Favorite March Madness. Here's today's game! Leave a comment below with your vote for this game (choose It's Electrifying or Silver Lining). One comment per person, please. You can also vote a second time on our Facebook Group – Sew Interesting. Voting for this game is open through Wednesday, March 26 at 1 pm EST. 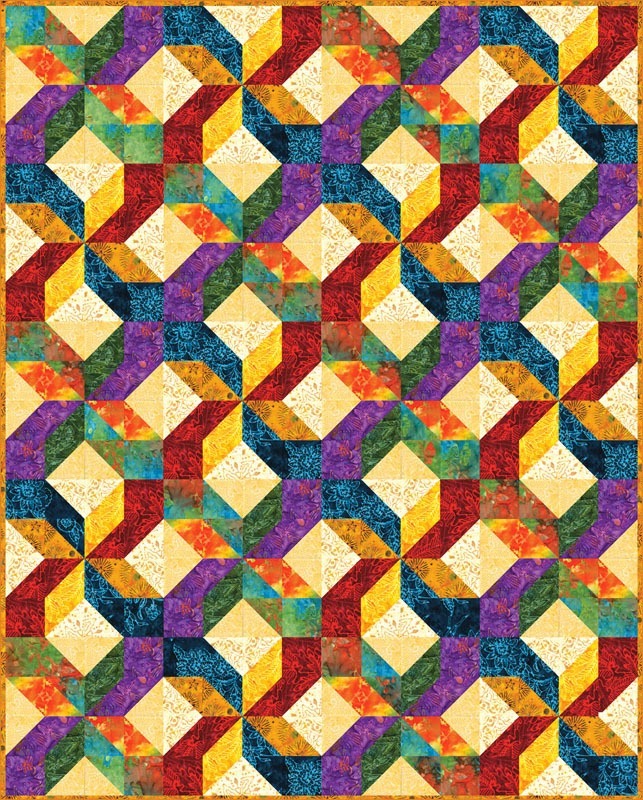 We're opening the voting on our Elite Eight Favorite Quilt Patterns! There will be one game Monday through Thursday this week, each open for voting for 24 hours. Leave a comment below with your vote for this game (choose Movement in Squares or Lemon Squares). One comment per person, please. You can also vote a second time on our Facebook Group – Sew Interesting. Voting for this game is open through Tuesday, March 25 at 1 pm EST. Thanks to everyone who voted last week! From our eight games, you narrowed our Fan Favorite Pattern bracket down to the Elite Eight. This week we'll post competing patterns from the bracket each day and you choose your favorite. Whichever pattern receives the most votes each day will move on to the Final Four. We'll feature one game per day this week, and you can vote here on the blog by leaving a comment below the post about that day's game. You have a second chance to vote as well--on our our Facebook Group – Sew Interesting. We'll post the first game at 1 pm today. Good luck to all the patterns!